There is nothing like strapping on a pair of running shoes and running with the earth’s natural beauty serving as the backdrop. 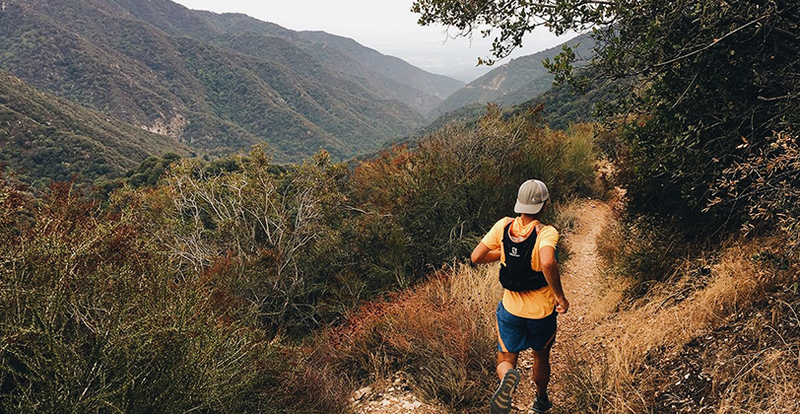 Pasadena has several options for trail runners, as the city is close to both the Angeles National Forest and San Gabriel Mountains. All one needs is a road-ready car and plenty of sun protection. The Arroyo Seco is a nearly 25-mile long river that runs from Los Angeles into the Angeles National Forest. The name, which means “dry stream” in Spanish, also applies to a general area in Los Angeles County that also includes Pasadena. There are several running trails in this area that vary from wooded mountain areas to paved sidewalks. One of the most popular trails in the Arroyo Seco is the Rose Bowl Loop. This path is a low-impact 3.1-mile route around the famous football stadium. Many people use this loop as a regular running spot, so it can get busy in the evenings. The route has an eight-foot-wide lane for pedestrians, so bicyclists can pass in the extra space. Access to this trail is easier, as most use the Rose Bowl parking lots when the stadium is not hosting events. The Lower Arroyo Seco trail is a little further from the bustle of the city inside Lower Arroyo Park. The trail is located near the San Pascual Stables, so parts of it are shared between runners and people riding on horseback. The length is about 4 miles, and the trail is rated as having a moderate difficulty. The park is dog-friendly, so runners can bring their furry companion along. Part of the trail splits along a flood-control channel. Runners can venture on both sides of the channel, but the west can become muddy. Parking is available near the nature park. This canyon is part of the foothills of the San Gabriel Mountains. The area has a golf course and a 50-foot waterfall that John Muir, the founder of the Sierra Club, once described as “a charming little thing, with a voice sweet as a songbird’s.” The park also has a nature center where visitors can learn more about the local animals and plants. The Eaton Canyon Trail is the first trail in the park. 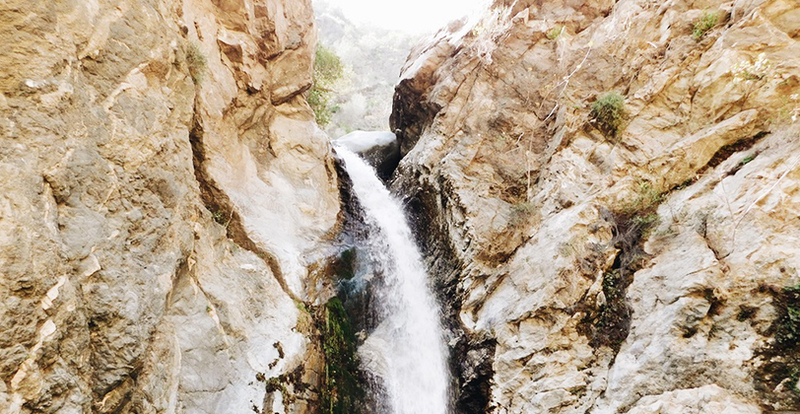 It’s about 3.6 miles in length, and it leads to the waterfall and on to Mount Wilson. The trail starts off easy on flat land. It then gains elevation and crosses through several streams. Many people flock to the trail for its scenic views of the San Gabriel and Santa Monica Mountains. It’s especially beautiful in the spring when the wildflowers bloom. Leashed dogs are welcome on this trail. Past Eaton Canyon is Henninger Flats. This area sits about 2,600 feet above sea level, and it has several picnic areas among the pine trees. The area gets its name from William Henninger, who built a home in the flats in 1880. He was instrumental in developing a water system that helps with modern reforestation efforts. Access to this area is challenging. Runners can go up from Walnut Canyon, through the horse trail and use the uphill Toll Road. This path is three miles both ways. Another option is taking the Toll Road from Pinecrest Gate. The distance is about 2.7 miles, and it is uphill. The Angeles National Forest has many trails for all skill levels. The forest covers more than 700,000 acres, and it includes five designated wilderness areas. More than 160,000 acres were destroyed by a 2009 arson fire that was recognized as one of the worst in Los Angeles County history. The area has since rebounded with new blooming lavender flowers and California walnut trees. The Gabrielino Trail winds through the forest into parts of the Arroyo Seco. Its total length is 27.7 miles that can easily be cut into sections. One section starts from the Jet Propulsion Laboratory and heads into the Arroyo Seco. The path is a mix of paved road and dirt, and its total distance is about 8 miles. 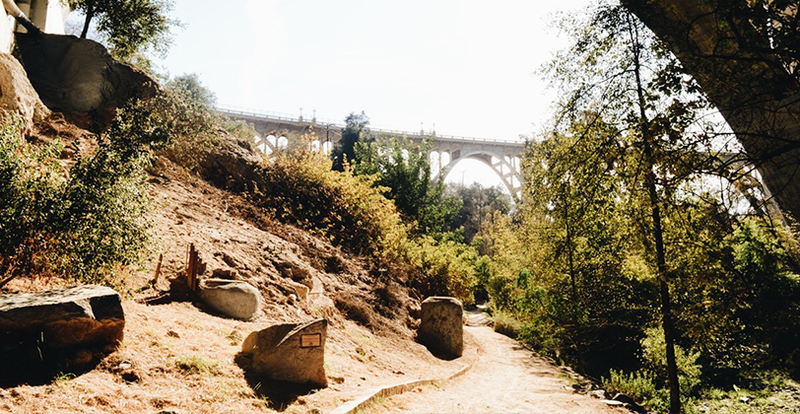 Runners can also take the trail along the Santa Anita, which eventually leads to the Sturtevant Falls. The trail is about 3.25 miles in length. El Prieto Canyon is a running trail that goes about 3 miles roundtrip. There is plenty to see along the route, including Brown Mountain and even the Hollywood Hills when the sky is clear. Parts of the trail are paved, and other parts cross small streams. The trail gains about 550 feet in elevation, making it an easier route for runners. Parts of Angeles National Forest are difficult to access. The best way to travel is with a vehicle that can handle rough road conditions. A compact, fuel-efficient SUV like the Mazda CX-5 will be able to handle most of the terrain in the area. For more intense off-road trails in the Angeles National Forest, having a car like a Jeep Wrangler will help you get to all those tucked away trails. For those looking to move to sunny Pasadena, you’ll be impressed by much of the city’s beautiful Craftsman and art deco architecture. In fact, there are 16 historical districts within 23 square miles, and the city even offers guided tours of the architecture. If the breathtaking scenery isn’t enough to persuade you to call Pasadena “home,” you’ll be pleased to find countless local amenities, schools, and family-friendly events that all contribute to the community’s rich character and atmosphere. Our L.A. Neighborhoods Guide will give you a detailed glimpse of what each neighborhood has to offer. 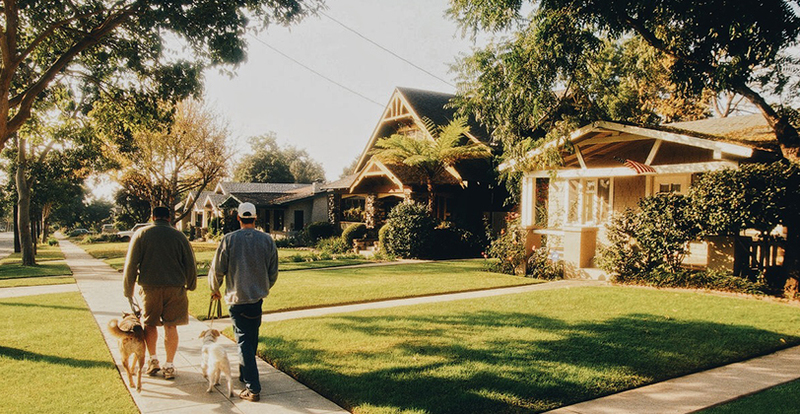 Whether you’re looking for an Altadena home tucked into the foothills of the Sierra Madres or for a historic Victorian-era property in Angelino Heights, Los Angeles has it all. Interested in buying or selling a home in the Pasadena area? Contact our expert real estate team for more information. We’re happy to help answer any real estate questions you have.